Are you excited to have the higher viewability rate as an Advertiser with Header Bidding? Do you strike in the middle to obtain higher CPM as a Publisher? The only term that benefits for both the buyers and sellers are Header bidding. The auctions which have taken place to directly participate with the real-time bidding partners to get links and to exchange ads within the website by using the programmatic technology. It will lead to putting the sites to find the reasonable prices for their ads. Header bidding is a term that encountered a couple of years. Many of us do not know much about header bidding, which is an additional auction outside of ad server. The header of any web page contains the metadata and calls scripts. The header is thus the best area to conduct an auction. This auction controlled by the publisher who can field bids on every page that loaded before the ad placements load. 86% of people have approached the Header Bidding provider, and more than half 53% of publishers are using it. Then the bid is passed to the ad server of the publisher. Then the user is redirected to the server of the advertiser, and the final creative returned. This process takes only a few fractions of seconds. 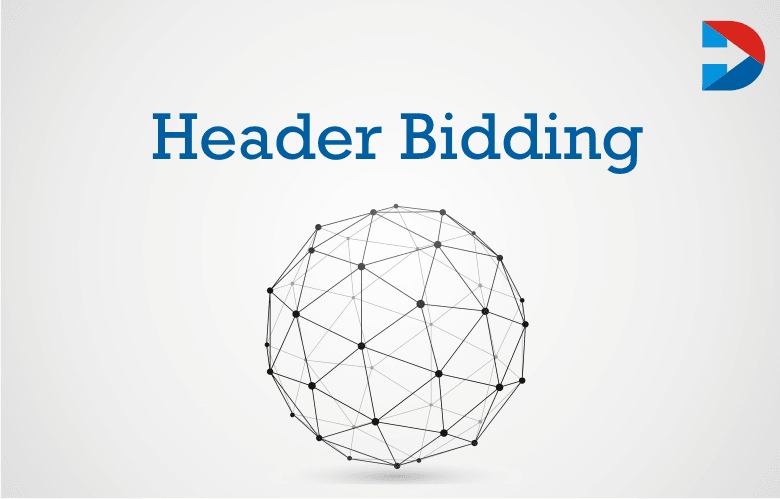 Header bidding is essential for both publishers and advertisers. It helps the publishers to get increased revenue. The impressions are auctioned off simultaneous for all the demand partners even before the ad server of the publisher. Earlier it was not possible for the publishers to get the first look of every impression but with header bidding, they can get to look at every impact. However, winning the feeling depends on how much they are ready to pay for it. Header Bidding helps the publishers to sell their ad inventory to get the best price.Header Bidding means that publishers can see an increase in their revenue with it. Other factors can affect the income, and these include the audience size, geography, etc. Header Bidding is a technique for publishers to make every impression grammatically to ensure in real time competition. For advertisers, it is possible to access the premium inventory. Ad buyers can get a look at all the impressions of the publishers but not the only unsold ones. Marketers first have to buy ad inventory from header actions. Then they should find publishers who support header bidding. These could be new publishers are existing publishers who are performing well in current campaigns. Begin with the list of publishers that are valuable to you. Bid very high to win the impressions from header auctions. Another method to access head auction is approaching the publishers directly and secure privileged feelings. Having a deal established in a private marketplace is beneficial as the user ID can be used in the campaigns which allow accessing high priority inventory from header auction. The publishers will have increased choice of demand. Publishers will be able to integrate with multiple demand partners. Publishers can know how much impressions are worth. It offers more control and more bid transparency. Another benefit is eliminating the need for passback. It allows letting multiple bidder bids simultaneously which increases the yield and revenue. Publishers can sell their inventory to the highest bidder and provide control of who wins the impression. When it is used, the buyer will be able to see the entire inventory of the publisher, and they can understand the reach more clearly. Buyers can access more audience. 24% of the top 1000 domains are running it, among 47% have multiple bidders. They will be able to generate bid requests for every impression. Another essential benefit of it for buyers is that the buyer will be able to check and set first-party cookies. It is because the ad request is made directly from the page. It proved to be beneficial for both publishers and buyers. But there are some cons also. The experience of header bidding for publishers depends on how complicated the website is. Advertisers who have large budgets will not lose much, but smaller brands may lose the bidding war in it. The companies will have access to all publisher inventory, and the advertisers will not have the advantage of buying guaranteed deals with publishers. Who should implement header bidding? It is beneficial for both publishers and buyers. It is win-win for both. Publishers will have increased revenue and advertisers can get premium inventory. The ROI of brands increased when it is used. Some things have to consider before implementing it. Header bid might impact the load time of the page if not set up correctly. There is some concern about the user privacy when using it. It is because the buyers access the insight into the users. It is necessary to check whether this outweighs the benefits. Before implementing header bidding, first, learn everything about it and how it can benefit when integrated it with the website. It is said to be very easy, and only a single tag added to the Web page. Header Bidding leads to raising the Page load time on websites. But the services of the skilled engineer is a need for the setup and to measure the performance. It proved to be the most effective tool for increasing ad revenue on site. The ideal number of header bidding partner as per the statistics is four to seven. Studies revealed that this is the golden number and this brings best CPM rates. Having more number of header bidding partners also claimed to increase the revenue. It is the most seeking one in the present market that is more advantageous to both the buyers and sellers. The integration of header bidding will give simultaneous benefits to both the advertisers and publishers.